help to transform your home or business. Having started as a small business in Hook, founder of Hook Cleaning Services, Tim Colenutt, always knew the business had the potential to do even bigger and better things. With a workforce that has doubled over the last few years, and the ability to now work flexible hours, Hook Cleaning Services has expanded to offer its skill set for a much wider area – bringing quality carpet cleaning, upholstery and furniture cleaning, tile and grout cleaning and many other services to Southampton. Call our Southampton office on 02381 290 990. Here’s our Southampton address too: 54 Empire View, West Park Road, Southampton, Hampshire, SO 15 1GJ. Do you need affordable carpet cleaning for your Southampton home? 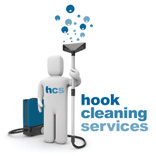 Hook Cleaning Services can offer that and so much more. Our team now also offers a range of other budget-conscious services to ensure your entire home looks at its best. If you’re trying to get rid of that red wine stain, marks on your curtains or just need to breathe new life into the tile and grout in your bathroom or kitchen, we are more than equipped for the job. Feel free to ask us anything about what we can offer you! What about your offices or commercial spaces in Southampton? All of our equipped vans and portable cleaning technology means we’re ready to tackle commercial cleaning jobs of all shapes and sizes. If you have office furniture, floors, car parks or upholstery in need of a clean – we know we have the vans and manpower for the job. Get in touch today to tell us your unique commercial needs, and we promise you won’t be disappointed with our professional, unique approach that offers you solutions within hours that suit you. We’ll even work out of hours to ensure that your business goes on uninterrupted. Do you want to make the most of our Southampton commercial and domestic cleaning services? Don’t hesitate to get in touch! We can organise a totally free, no obligations consultation today, and get your home or business back to its best! John did a superb job - the carpets look amazing! We are over the moon with the work Dennis did...it's fantastic!! I will certainly be recommending you! Thank you for an amazing job. Just a note to say what a great job Dennis has done. I'm really impressed with the sofa and carpets and I will definitely pass my recommendation on for you. Really pleased with the carpets! John was such a professional and hard working guy - a real credit to your company. Please extend our thanks to him. Just a note to say enormous thanks for the great job done by Dennis and John (I think!) in my shower room last Monday. The room looks great and good as new! Attention to detail combined with politeness and good humour - money very well spent. If you can drop off some of your cleaning stuff it would be very much appreciated. Congratulations on a great team; I have already made several recommendations on your behalf! I was delighted and surprised at how well my daughter's bedroom carpet looked after cleaning. It came up beautifully considering the number of make up marks on it prior to cleaning. Carpet looks like new, I have to say. Your colleague Dennis is a credit to your business, removing his shoes on entry to my home and explaining exactly what was going to be done. I will certainly use your services again and would recommend your company without hesitation to anyone requiring their carpets cleaned. Sincere thanks. Just to let you know your guys did a great job at the flat, please pass on our thanks. The team did a great job on my natural stone kitchen floor tiles. They were professional, knowledgeable, courteous and on time. Nothing was too much trouble. I was so impressed with their professionalism that I asked them to clean my silk rugs and stair carpets too. They look like new. Thanks for a great job. Get in touch to hear more on how our expert services can help to transform your home or business. It all starts with a phone call – ring us or give us an email today to find out more about our domestic, commercial and specialist carpet cleaning services. We can’t wait to help!